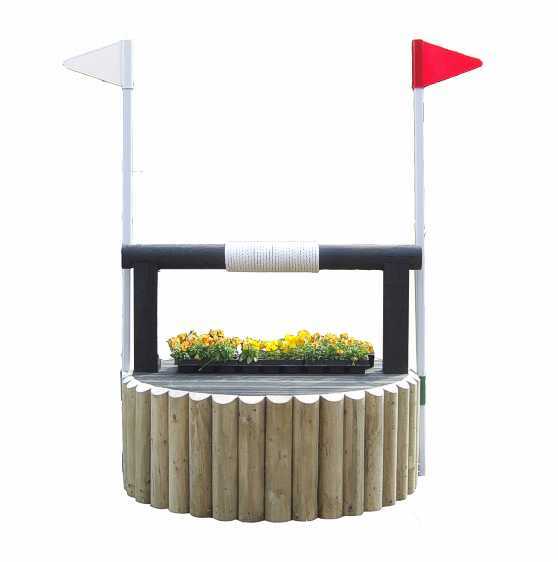 The Wishing Well is fully height adjustable from 75cm - 110cm, while remaining safe and stable. 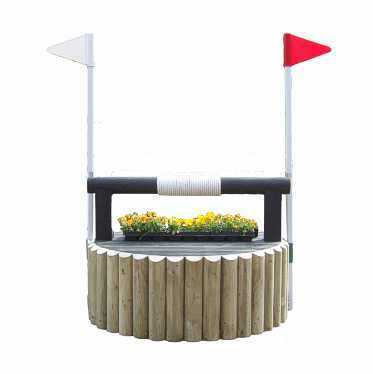 The Hill and Manger are height adjustable in the same way - see related products below. 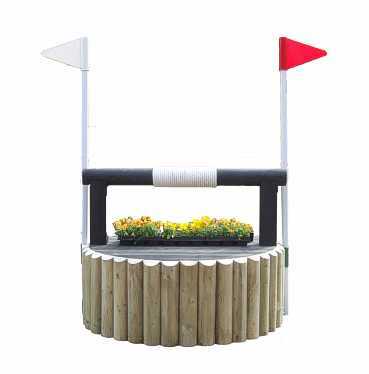 Available with either a round base measuring 1.2m diameter or an oval base which is 1.2m wide but only has a spread of 75cm making an easier jump for novice riders. Pole is fixed not "knock down"
Peg the posts into place fixing the height. A fully height adjustable fence from 75cm - 110cm.